Charles (Chuck) Ehredt is CEO of Currency Alliance, an organisation intent on becoming the global marketplace for loyalty collaboration. 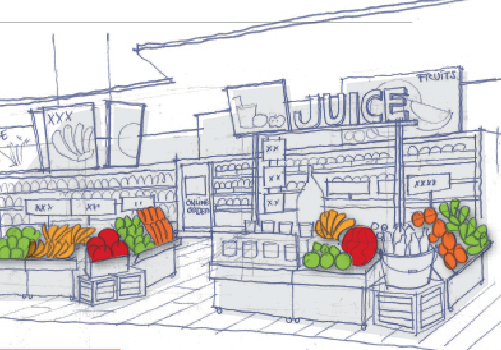 He talked to Annich McIntosh about the progress they have made, his vision for loyalty and why the industry has started accelerating its evolution. 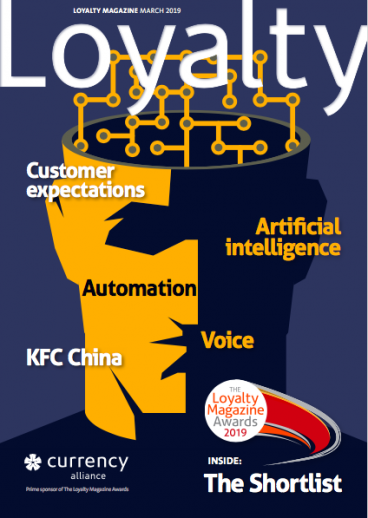 Loyalty Magazine: You have written a lot in your blog about how the coalition loyalty model is evolving into a marketplace. Can you explain? Charles Ehredt: There are three versions of coalition in loyalty. Nectar is an example of Version 1 where a large intermediary was running the business on behalf of brands. Version 1 is running out of steam in most markets because there is just too much friction in the business model. Version 2 would include Tesco or United Airlines, where there is a strong brand as the central player. Version 2 is flourishing today when the central brand truly has strong market power. Air Canada is buying Aeroplan in order to convert it into a Version 2 coalition. So, what is Version 3 and are there any examples yet? There are no good examples of Version 3 today. Version 3 includes more freedom of enterprise among peer stakeholders, each pursuing the type of economic activity which maximizes their self-interest. A peer environment provides more benefit of choice, greater competition, and prices based on supply and demand. Customers have greater freedom to earn/burn with partners as they choose. The marketplace does have rules, but for the full community, not dictated by one player. Version 3 also requires flexible technology and low operating costs. Explain the advantages of a marketplace in terms of customer loyalty? Coalitions are evolving into marketplaces to create more liquidity and freedom for all the partners and customers, and this is what Currency Alliance can enable using our Software as a Service (SaaS) technology platform. We foresee many more brands collaborating in a loyalty ecosystem to serve common customers. With modern technology, there is no longer the need for a single large company to dictate how the coalition should operate and horde all the data. In a coalition marketplace some brands will be primarily earn partners, while others will be ´experiential´ burn partners. There will be guidelines, but no one party will dictate the rules. Customers will have greater choice and everyone will benefit from greater transparency. So, are you becoming a loyalty Amazon? I am not that ambitious. But, I see a great deal of friction in the current business models and we want to develop the tools so brands can improve customer acquisition and retention at much lower cost. For example, banks and supermarkets are good for collecting, but not for redeeming, while hotels and airlines are the opposite. – unless the customer is a frequent business traveler. No. All that is required is one integration with us and a company can then pick and choose on the platform; who to partner with and how to position their brand. Also, what rules and restraints they wish to make with regard to earning and redemption. They keep control. For consumers, it means the ability to earn the loyalty currency they really want from many more places they shop. Most families spend 1,000 to 2,000 Pounds per month on products and services that could be obtained from many suppliers. We anticipate brands assembling in constellations that allow customers to earn Avios, Virgin Atlantic Flying Club miles, Miles & More – or a new currency – wherever they shop. In a single currency program, this could lead to 400-500 Pounds of loyalty value per household per year. That will influence choice. We estimate that across Europe and North America, there are 200 million people who understand loyalty programmes perfectly, but can’t be bothered to participate. The loyalty industry could grow by three to five times with greater collaboration so these people become active. Imagine the value of that additional data so brands can improve personalization. Are you a lone voice on this? 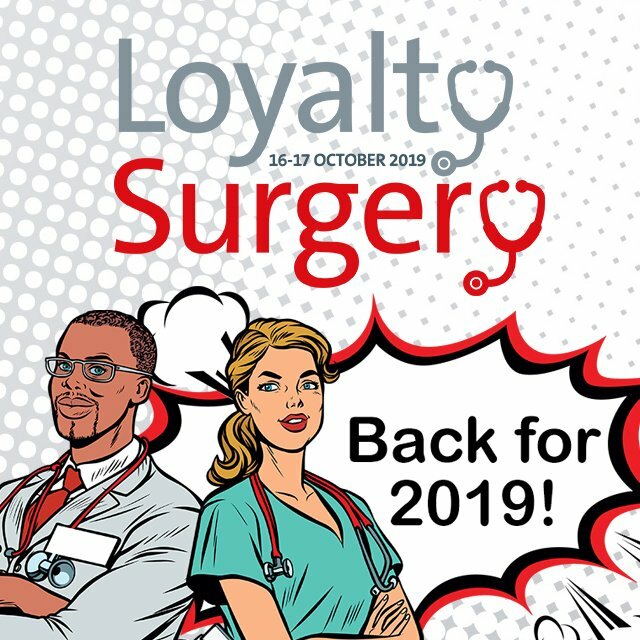 LoyaltyOne quoted recently that Private Equity investors are anticipating the loyalty industry to grow by 25% a year over the next few years. The reason is because there will be consolidation of loyalty currencies even through the number of programmes may continue to proliferate. We anticipate the top 50-80 programs will get much larger as medium and smaller retailers and travel suppliers switch to issuing the more popular loyalty currencies. The result will be larger coalitions that look much more like marketplaces. We are helping large brand-led loyalty programmes improve the real and perceived value of their loyalty currency, but we can also help coalitions without a strong lead brand become significant to customers. What about control? You said that recent changes of ownership of Nectar and Aeroplan were about brands wanting to regain control? No brand wants to lose control, but they can’t stop the industry evolution – because customers vote every day with their money. Most current programs can’t grow beyond the most frequent 25% of customers participating because frequency in the mid- and long-tail is just too low. The only way to achieve significant growth is by opening up to wider collaboration. Brands recognise they no longer own the customer, so, the question becomes: Do they stay still and shrink, or collaborate with a much bigger programme (or several programmes) to be relevant to as many as 50% to 70% of their customers. The top 50 to 80 loyalty programmes today will be able to survive on their own, but for the next 100,000 brands, they can’t win the battle by themselves. They have to join a bigger ecosystem. For medium brands, a marketplace makes sense because of shared tech cost and wider appeal to customers. Is it possible to operate with multiple different currencies though? Expedia offers its own currency, but it works with others for redemption. It also owns Hotel.com, which runs its own very good loyalty programme, giving one free nights for every 10 bookings, which is a 9% earning rate. It is best to treat loyalty as another channel of acquisition and retention – but most brands invest much more in new customer acquisition than they do in retention. Won’t a marketplace lead to lack of loyalty and chaos? Self-interest comes into play, as in any market. For example, if there are 20 vegetable stalls in a produce market, over time, shoppers choose to select certain stalls for some reason. Perhaps it is perception of value, an always smiling server, or speed of service perhaps. The ecosystem develops through that freedom of choice. A loyalty ecosystem needs to evolve based on factors that influence the exchange of value. That type of ecosystem has been evolving for thousands of years. It is a healthy environment. Another example would be city coffee shops. They all sell the same thing, but in a slightly different way. Some compete on price, others on quality or ambience. It will be the same for loyalty programmes in an ecosystem. People will vote with their money and their rewards. People will vote with their money. Earning velocity and the attractiveness of available rewards will influence which brand(s) they choose. Frequent flyer programmes are core to many airlines´ appeal. That won’t change anytime soon. However, Ryanair, EasyJet, and Spirit all exist because people elected to choose low cost over earning points. Competition is good for marketplaces and a points programme is a powerful tool. We believe there is significant further upside for airline programmes to add more partners that are relevant to their target customers – which also allows less frequent flyers to earn toward attractive flight redemptions throughout the year. How important are the points? I don’t think that giving points builds much loyalty at all. People choose a brand on the perception of value plus cumulative experience of that brand. The points are just an excuse to start a dialog. Most brands now compete with Amazon one way or another. You were a Loyalty Magazine Awards judge this year, what lessons can be learnt from the entries? Most of the innovation is coming from countries around the Mediterranean – Turkey, Greece, Italy, and Spain. It is very interesting. These are countries where the economic crash forced them to innovate. The lesson to be learned is that we shouldn’t just look within our own market for good ideas. Is there a place for cryptocurrencies in loyalty? I still believe that blockchain will be very transformative. It will have a massive impact on business and society over the next two to twenty years. Crypto-currencies are a specific use case for blockchain technology and certainly the most proven so far. There will be crypto-loyalty tokens and they may gain traction in specific segments, but major brands cannot convert their traditional points/miles to a crypto-currency without becoming a regulated entity in many different countries. Loyalty programmes don’t want to be regulated, so crypto-currency usage in loyalty will remain a fringe exercise for the foreseeable future. How is progress going with the Currency Alliance platform? We grew from about 17 clients last year to over 70 now. Many of the partners I cannot mention are Fortune 500 companies, so business is good, we are having a lot of fun, and we foresee that most brands will want to be part of a much larger marketplace over the years to come. Points/Miles are a form of e-money which have been defined as a digital representation of currency that is pegged to a fiat currency. Loyalty programmes with points are treated as a special class in both the US and the EU, because they are traded within a closed network – and therefore not regulated. This definition is very important. As coalitions expand, the definition of a ´closed network´ will be tested to find out how the EU and US regulators will treat this expansion. An example of a company that has worked hard to stay within the rules is SamsungPay which is running a cash back scheme in many markets, which has been very carefully defined because it will be very open, with a great many partners. Users accessing the new cash back panel on Samsung Pay’s home screen can earn about 5% cash back when paying with the wallet at retailer partners. It piggybacks on Samsung Pay’s existing Rewards programme, which allows users to earn per-transaction points that are multiplied by how often they use Samsung Pay. US mobile wallet adoption has stagnated at about 25% of eligible users. If you are asked to define what Currency Alliance does, what do you say? We offer the low cost technology that allows brands to collaborate with each other to deliver greater value to customers through their loyalty programme. Brands cannot be an island unto themselves any more. We have 70+ clients using the platform today. Some are huge global enterprises. Thanks for asking; it is working great!